Ghaaasp! Shady cops? What IS the world coming too? The usual crappy reporting from rte, not a word of explanation as to why they are staying away. It’s almost like they sort of have to report it but really don’t want to because they are uneasily portraying state institutions in a bad light. So they wishy washy around the story and hope that the next Mauri and Dahhi segment where they talk to the fat guy from bachelors walk about healthy chocolate Easter eggs and what to wear to Easter Mass this Sunday , all the time keeping their fingers crossed the story blows over. What’s the other option? Inform the public that the police are sometimes the bad guys? The cognitive dissonance alone would kill half the license payers in their rocking chairs. Garda Reynolds at RTE has a source who can tell him three Gardai, Brendan Brogan, Paul Wallace and Antoinnette Cunningham are staying away from their union’s get-together, but can’t tell us why? Was one of them doing a nixer? Are they protesting at one of their friends being found out? Are they simply washing their hair? Who knows, who can tell, not Garda Reynolds that’s for sure. And what about the false alarms? 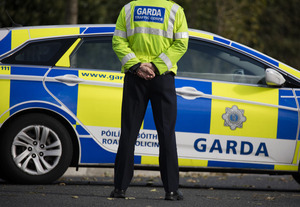 Did the Gardai doing a nixer waste Garda time by triggering false alarms? Why would he do that? And why are we even talking about an investigation anyway which is supposed to be confidential, and even the Gardai under investigation hasn’t been informed. Lousy reporting from the loss-making state broadcaster. Paul Reynolds should not havev a job at RTE, he isnt just biased, or even compromised he is basically acting as an agent for disinformation & PR on behalf of garda management and AGSI. After the McCabe tribunal “leaks” smear he should have been sacked. While I detest Newstalk, even they got rid of PC Williams in the morning. What he was doing there is the first place is beyond me – like putting a dog in a tutu and expecting it to dance swan lake.